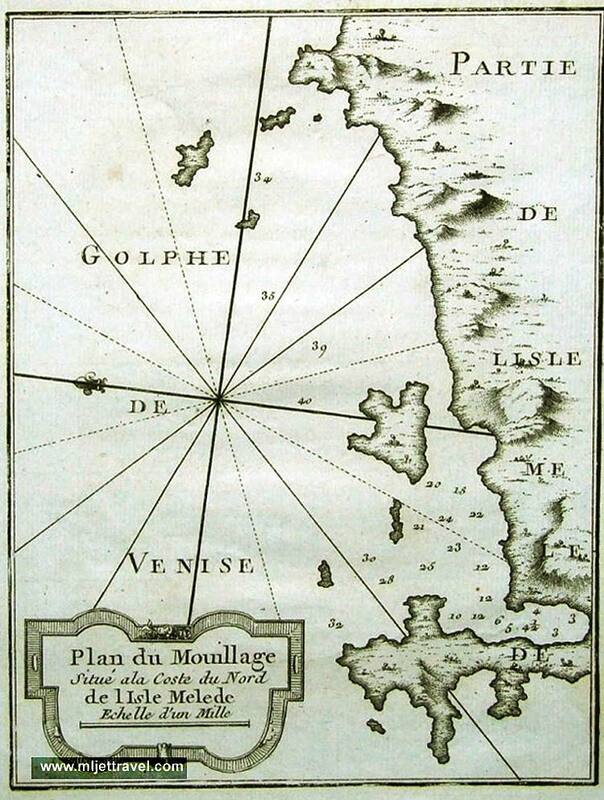 Mljet Map from 1750s – This is an interesting 18th century copper engraved map of the anchorage on the island of Mljet. North is orientated to the left. The map is published in Paris in 1750s by Jacques Nicolas Bellin who was chief cartographer to the French Navy and Hydrograhic office. This particular part of Mljet covered by this map is the area around Polače bay and surrounding islands/islets.